Is creationism compatible with science? The evidence says yes. 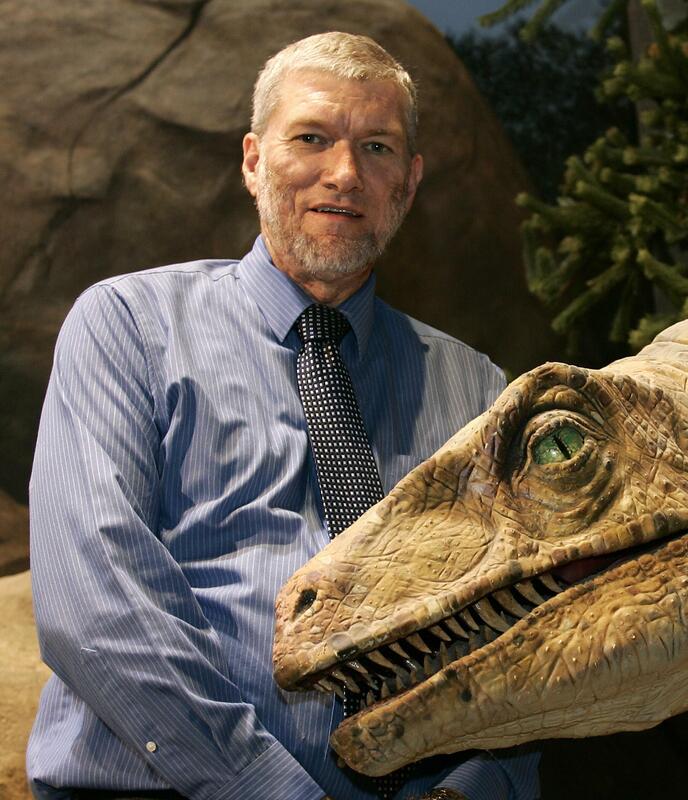 Ken Ham, the CEO of Answers in Genesis, may be a dinosaur. But he can still do science. But as McElwee pushes beyond these statements, his claims become tenuous. “To believe that someone whose starting premise is profoundly unscientific will practice good science could well be dangerous,” he writes. Well, that’s true. It could be, though it’s not clear that most people who believe in creationism—and here I’m talking about the 46 percent of Americans who affirm that “God created human beings pretty much in their present form at one time within the last 10,000 years or so”—actually treat that belief as a starting point. In reality, the vast majority of those people treat creationism as an isolated compartment in which to preserve religion from total obliteration by science. McElwee says he’s “fearful … that such an approach to science could easily bleed into the realm of something like vaccines or climate change (as it already has).” That’s a reasonable worry. But as a hypothesis, it’s unsupported. His link goes to an op-ed that asserts a connection between creationism and vaccine myths but offers no evidence that either belief has affected the other. Sorry, but no. I don’t take them at their word. Even if Wise and thousands of others did claim to have abandoned science (actually, they don’t—you can read Wise’s account for yourself), I’d want verification. Does Wise agree not to use antibiotics when his doctor explains the evolutionary reason to avoid them? And what about the engineers in Ken Ham’s videos—the guys who made demonstrable contributions to science and technology while declaring themselves young-Earth creationists? Those men are what a good social scientist would call “evidence.” They back up the hypothesis that you can be a perfectly good engineer while believing nonsense about the origins of life. We can’t wave that evidence away, any more than we can wave away fossils. The alternative hypothesis, advanced by McElwee, is that “to espouse [creationism] is to preclude practicing science.” The engineers in Ham’s video falsify that hypothesis. They espouse creationism while successfully practicing science. One reason why I don’t share McElwee’s fear of creationism—and I say this as somebody who spent a high school biology class listening to a teacher spell out the case for it—is that I don’t agree that religion has science on the run. Quite the opposite. Mostly this is due to the immense, tangible benefits of science, in the form of technology. But a lot of it is due to the simple power of reality. No matter how hard you work to deceive yourself and others, it’s hard to sustain myths in the face of falsification. As the creation foundation is removed, we see the Godly institutions also start to collapse. On the other hand, as the evolution foundation remains firm, the structures built on that foundation—lawlessness, homosexuality, abortion, etc—logically increase. We must understand this connection. That’s exactly backward. Read Ham’s statement again. He isn’t saying that you have to oppose homosexuality and abortion because the biblical creation story is true. He’s saying that if you don’t accept the biblical creation story, homosexuality and abortion will follow. In other words, the power of creationism comes from moral anxiety. Biblical literalism, which forces creationists to constantly bang their heads against incompatible evidence, is the burden creationism has to carry. On the other side, McElwee quotes Charles Darwin: “I have steadily endeavored to keep my mind free so as to give up any hypothesis, however much beloved (and I cannot resist forming one on every subject), as soon as facts are shown to be opposed to it.” That, according to McElwee, is the essence of free inquiry. He’s right. The image of creationism as an oncoming threat rather than a receding symptom is just another hypothesis. So is the claim that you can’t practice good science while being a creationist. These hypotheses are much beloved among liberals, atheists, and scientists. But the facts are opposed to them. Give them up.